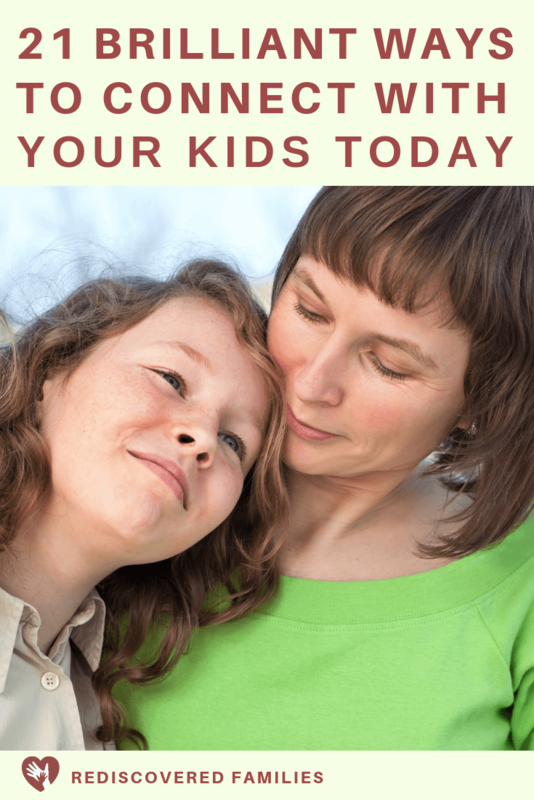 Want to spend more time with your kids? 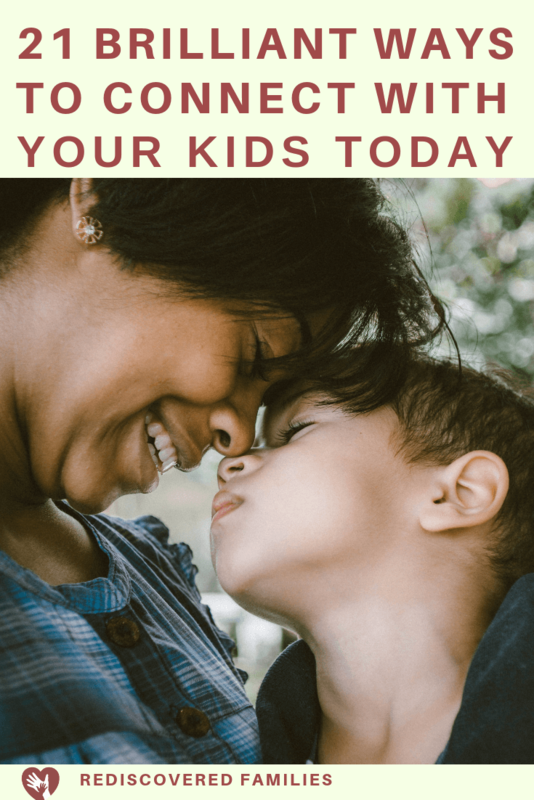 Here’s loads of simple ideas and tips to help you connect with your kids right now. I clutched the box like a life saver and numbly walked to car. We were packing the car to drive our oldest son to University. I could tell that he was full of nervous excitement and I wanted to support him through this important milestone. So I put on a brave smile, when in reality all I wanted to do was melt into a puddle on the floor and bawl my eyes out. How could he be old enough to go to university? Where had the years gone? Wasn’t it only yesterday that he was starting Kindergarten? One day it will be your turn to help your child pack and leave home. Your children are here with you now, but all too soon they will grow up and go out to live independent lives. If you are in the midst of parenting young children it’s probably hard to imagine. You are so used to the constant noise and activity that it’s easy to forget it won’t always be that way. In fact the thought of some peace and quiet may be really appealing. But I want to tell you that the time you have with your children will go by at lightening speed. The time to connect with your children is NOW. I know that life can seem overwhelming at times. We live in a fast paced society and there is so much to do and so little time to do it. But as parents there is nothing more important than connecting with your children. Your children are with you now. You only have a very limited time in which to read stories, snuggle, build forts, jump in puddles, give piggy-back rides, chase away monsters, kiss it better, have a burping contest, tell corny jokes, do silly dances, build the biggest tower ever, have water fights, or play tickle tag with them. But you can connect TODAY. I would like to encourage you to leave this post right now and go connect with your children. Play a board game. You could even make your own! Dress up and play pretend. Enjoy some hot chocolate or ice cream. And later, after you have had some fun together and made some memories, drop back for a moment and leave a comment. How did you connect with your children today? 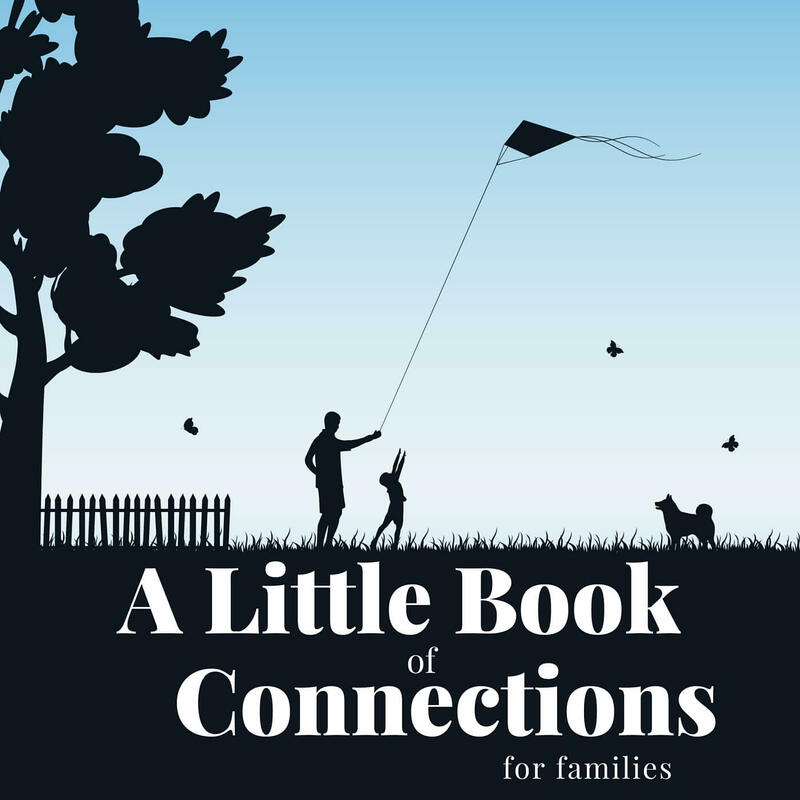 I’ve gathered together 14 ways of connecting with your kids into a mini eBook for you. I’ve kept these activities really simple, so you can easily incorporate them into your every day life. Our newsletter subscribers can get the book for free from the library. Just sign up here. If you are already a subscriber, you should have received an email directing you how to access all of our free subscriber-only freebies. What is your favourite way to build connections with your children? Save this post for later? Save this pin for when you want to spend quality time with your children and need some quick ideas. Sharon…great ideas and reminders! My daughter is grown up now and living in the city 8 hours from me. I did recently spend a weekend with her attending a women’s conference with her. We had some great talks and time together. Between those in-person times, we text, face time, etc. I even have a saved message she left me on my phone from 2008 that I keep saving over and over because I like to hear her voice every now and then. Please, do take time with your children today! Oh the fact that you have kept that message for all that time touches my heart 🙂 I’m glad that you are still spending time together. That is so special. Well, I don’t have children, but I think your ideas are perfect for connecting with any loved one! Thanks for the great ideas! This is a lovely post, Sharon, and very timely. My husband’s granddaughter visited today and her favorite thing that we did today was sit down together and read a book – or two! My husband commented later that he could see how much she enjoyed it. Those are the moments to cherish. Not spending money, not feeling the need to entertain, just spending time and sharing a moment – a very special, lasting moment. Thank you for sharing from the heart. Reading together is such a wonderful way to connect. I will be writing about that. Will you be baking with her? Well said. As a vice principal in a public school, I had listened to a number of parents making comments about their children. Put the priorities on them and your relationships, will yield fewer regrets. Thank you for the reminder, and putting it out there. Sharon, your post invites the kind of sweet connections that last and last. 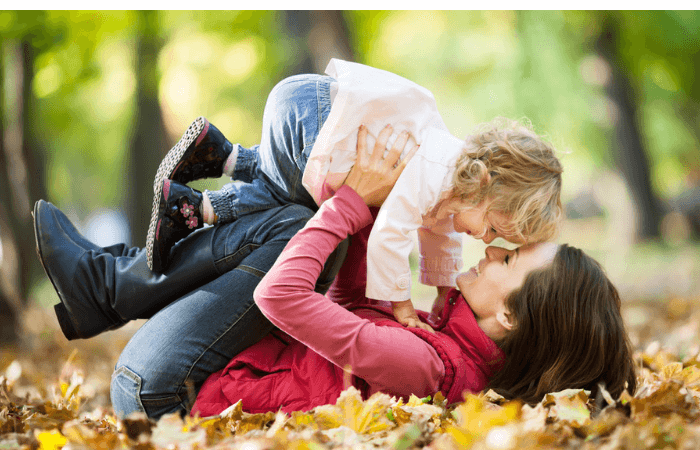 In a special Mother’s Day post on my blog, most of the messages people sent in were of memories of simple and caring interactions from everyday life that happened years ago. I happen to know that two of the individuals are in their mid-nineties, and their cherished recollections of time spent with their mothers bring smiles to their hearts these many decades later. Kudos, Sharon. Thanks for sharing Dena. I think I will have to go and look at your post. Wonderful post! My own two are adults now and taking another step next weekend — one is graduating from college and starting grad school next month, the other is graduating from med school and moving 10 hours away (he’s only 4 hours away now) to begin his residency. I’m blessed in that we’re very close, but I miss those days when we all lived under the same roof, ate dinner together every night, etc. I know exactly what you mean. I miss those days too. Great post and such an important reminder. The good times/fun times we have now with our kids creates the wonderfully warm and loving memories we hold dear to us later on. 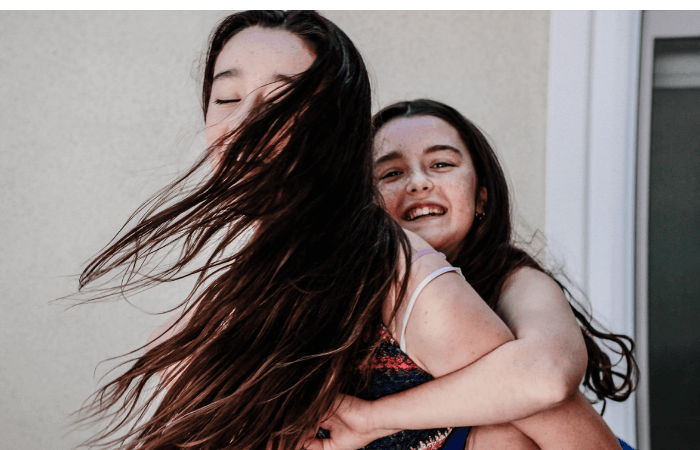 We all want to carry good memories from our childhood so we need to create them while we can and be cognizant of doing so; not letting all the ‘stuff’ get in the way of FUN, silly and cozy times. Here’s a great book – “Everyday Blessings: The Inner Work of Mindful Parenting” by Jon Kabat-Zinn. Great post and great ideas! We spend yesterday’s mothers day in my favourite way: 1st reading books together and then some crafting … Sometimes it’s a “bit” difficult to “forget” the to do list and really be in the moment. What a wonderful way of spending Mother’s Day. Sometimes those to do lists can be really demanding can’t they? Still whenever we make time to connect we are strengthening our relationships and in the end i hope we will be really glad we did. So true, it’s all gone in an instant. I like to make the most of my time with my children, but also realise I could do better. Karen Bell recently posted…Adults are kids too! I think we just need to keep it in mind as we go through the days. The small moments of connection add up and make a huge difference. I truly enjoyed reading you post! Thank you so much for linking with the #pinitparty and don’t forget to check out if you are one of the featured posts next week! Have a great weekend!